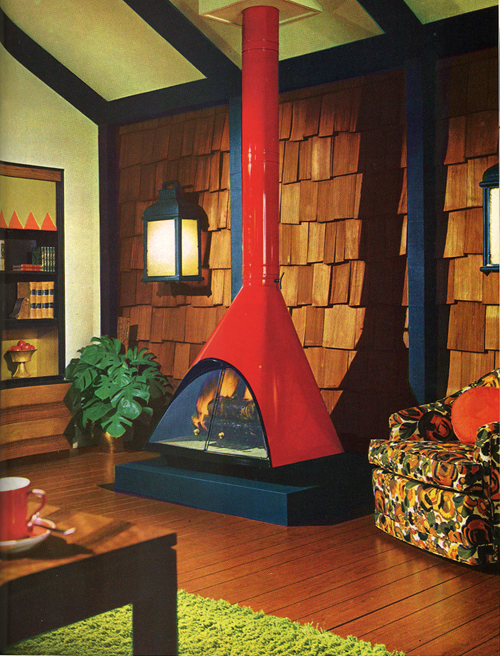 Why is Australian design so cool? Not a rhetorical question. This is a hodgepodge sample, for sure, and spans decades, but all of it seems to partake of some form or other of adventurousness. It’s possible I’m projecting, and that my view of Australia is entirely filtered through my childhood fixation on that girl in National Geographic who crossed the outback on camels. 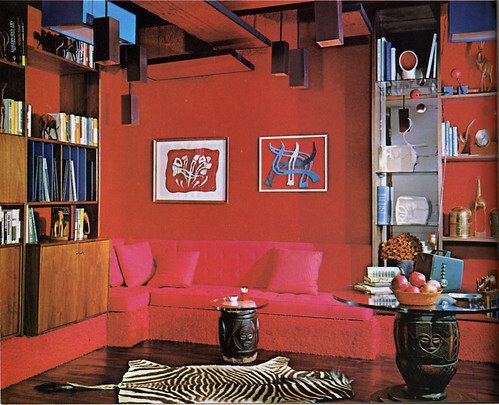 Linda and John Meyers of Wary Meyers Decorative Arts assemble these mod, chic, distinctly 1960s and 70s interiors almost entirely from furniture and objects they find in thrift and vintage sales. They’ve produced some great interior design projects for clients but shown here is their own house in Portland, Maine, which is by now quite well-known. 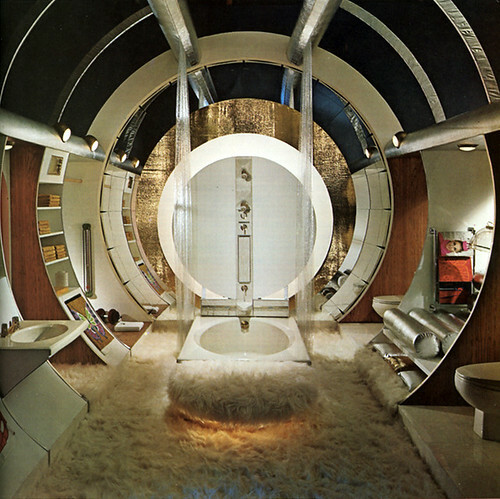 More far out interiors from The Practical Encyclopedia of Good Decorating and Home Improvement, Greystone Press, 1970. Tags: 1960s, 1968, 1970, 1970s, 60s, 70s, abstract, adventurous, bold, capiz shell chandelier, chrome, decor, design, favorite, favourite, groovy, interior design, macrame, mod, modern, panton, plexiglas, red wall, retro, shag, shagadelic, skylight, supergraphic, The Practical Encyclopedia of Good Decorating and Home Improvemen, why are things so boring now?